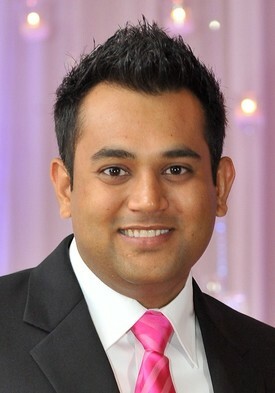 Dr. Patel grew up in the Central Florida area where he graduated from Winter Park High School. From an early age, Dr. Patel enjoyed creative engineering and sciences. He participated in numerous science fairs to volunteer opportunities for Habitat for Humanity to just simply hands on work around the home. His passion for math, science, and engineering found him a niche in healthcare. Earning a Bachelor of Arts and Sciences degree from the University of Florida, he majored in Microbiology and Cell Science. He continued his graduate education at the University of Florida College of Dentistry where he received his degree in Doctor of Dental Medicine (DMD). Dr. Patel's mission is to fully understand each of his patients' wants and needs in order to provide the best dental care. His highly trained staff and him both strongly believe that a team approach is the core of the practice. With a strong passion and commitment to unprecedented care and service, Dr. Patel is constantly pursuing continuing education courses to stay on the leading edge of dental technology to better serve his patients. He is a member of the American Dental Association, Academy of General Dentistry and International Congress of Oral Implantologists. In his free time, Dr. Patel enjoys spending time with his wife and family, traveling and playing sports.